The Sacramento Police Department will be joining several local law enforcement agencies Friday night to promote public safety, increase the awareness of the dangers of impaired driving, and deter impaired and unlicensed drivers with a DUI/Drivers License checkpoint. Officers from Twin Rivers Police Department, Galt Police Department, Sacramento County Probation, Citrus Heights Police Department and Elk Grove Police Department will be working together through the Avoid the 17 campaign in an effort to reduce impaired driving at the end of the traditional summer season through Labor Day – August 16 through Sept. 2. During the crackdown period, there will be an increase in law enforcement presence on the roads, including additional officers and DUI checkpoints throughout the area, and those caught driving under the influence of alcohol and/or drugs will be arrested. 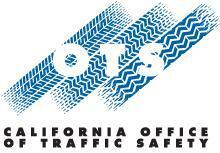 The Sacramento Police Department will be hosting the Avoid the 17 DUI/Drivers License Checkpoint on August 30 2013, on 21st Street near Capital Ave. It will begin at 7:30 p.m. and run for 7 to 8 hours. The California Office of Traffic Safety is reminding Californians to plan ahead during the crackdown and every day by designating a sober driver. The Sacramento Police Department will be joining the CHP, Avoid DUI Task Forces and over other 115 local police departments across the state. Specially trained officers will be on hand to detect drivers under the influence of alcohol as well as legal or illegal drugs. In 2011, 774 California drivers with a blood alcohol content of .08 or higher were killed in alcohol-impaired crashes. A first-time DUI conviction can cost up to $10,000 in fines, legal fees, and insurance increases. During the Labor Day weekend in 2011, a total of 138 people across the county were killed in motor vehicle traffic crashes involving drivers or motorcycle riders with a .08 BAC or higher. Of those fatalities, 83 percent occurred during early evening and overnight. ”The purpose of the checkpoint is to promote public safety, increase awareness of the dangers associated with drinking and driving, and serves as a deterrent to potential impaired and unlicensed drivers. Remember, Drive Sober or Get Pulled Over and Report Drunk Drivers – call 911. Funding for this program was provided by a grant from the California Office of Traffic Safety, through the National Highway Traffic Safety Administration. Please direct any inquiries to Sergeant Chris Prince at (916) 808-6069. Media is encouraged to attend the checkpoint in an effort to spread awareness about the impacts of drinking and driving.